Here is another one of my January Class Sample. The sketch is from Case This Sketch's Blog. I am again sharing another Sketch that can be used for any stamp and/or occasion. When I first saw that Occasion catalog, I fell in LOVE with the Celebrate Today and Balloon Framelits. You can save 15% if you buy them as a bundle. 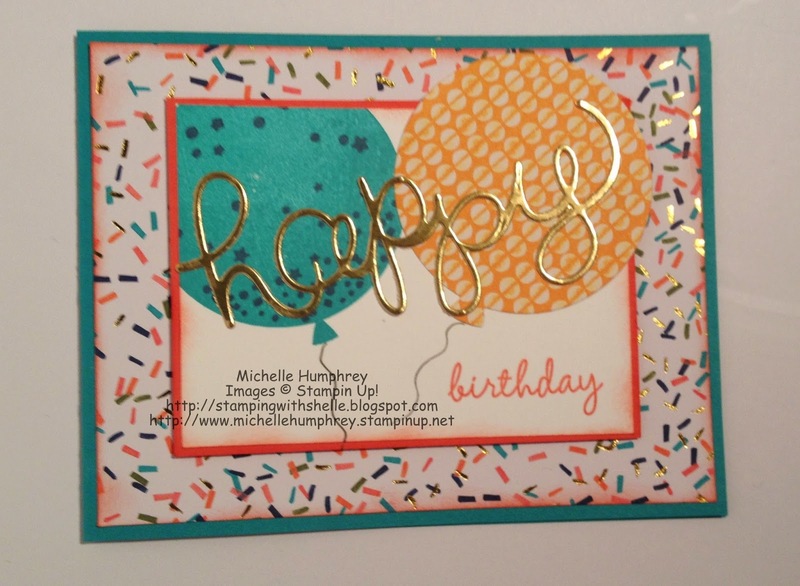 I also decided to use the AMAZING new Birthday Bash Specialty Designer Series Paper. The 2 specialty sheets are single-sided and embossed with gold foil; great way to add some "bling" to your card. I hope you like my Project! Oh, how fun! I love that happy diecut and how you rotated the sketch! 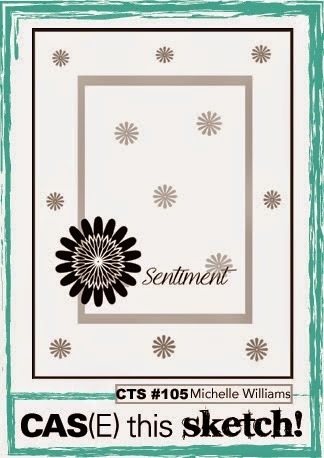 A birthday card that will really warm the heart!